The business of online auction is luring startups like nothing else and it would not be for anything I am sure. 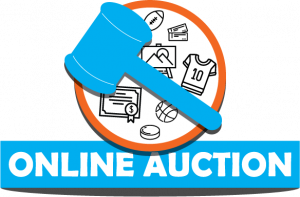 Take the example of one of the biggest online auction platform eBay which has a whopping figure of 167 millions of active users. Each user spends almost 150 minutes per month on the mobile app. Now, you see the point in developing a mobile app for an online auction or still carry the opinion that web is sufficient for that. Even if the startups consider and take steps to develop such an app, its difficult for them to give competition and stand against the market giants like eBay and Poshmark. One of the tactics is studying your competition, imitate them and overtake them. So, How to Develop an Online Auction App? A smart company indulges into the market study and analysis before initiating with the app development. It’s not a smart decision to enter a domain where already giants have dug their feet deep. Instead, find a new market which is having an appropriate demand for a lesser competition where you can create your own space and do your business. You can target a specific country or specific type of goods. When you are done picking your market, think of the audience that can be captivated and frame the business policies and monetization techniques accordingly. To take the wise and an informed decision, consult professional marketers, project managers or business analyst. You can conduct the research by yourself if you are blessed with enough time and resources. Once you are in the know of the SWOT of the auction mobile app development, you should start the study on the features you want to integrate to make your app stand out. 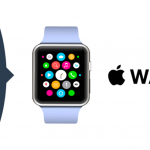 What is the cost-estimation of developing an auction app? Well, the pricing of app development differs according to the features and different mobile app development company. But, a ballpark estimation can be provided to get you a rough idea of the investment needed for such an app. The features like shopping cart, payment integration and shipping are complex and time-consuming and would need approximately 30 to 50 hours to get it done with. Considering the selected platform would be native for best app performance, the app development process will need a team of 8 people. The team should consist of a designer, 2 Android developers, 2 iOS developers, 1 backend developer, 1 tester and 1 project manager to lead them all. One of the consideration is that there will be 2 different apps one for the buyer and another one for the user which also adds up to the cost of building an auction app. It would need almost 1400 to 2000 hours to get such an app developed. 1) Having an auction app will give an international touch to your business. Buyers can participate in the auction from any corner of the globe for buying products which gain sound investment from a plethora of options. 2) Attractive prices as the operation cost of selling are reduced insanely as they are shifted online and developers are also at the ease of giving discounts. 3) Auction apps are a great source for time and money saving. The mobile app will eradicate the need to travel to the auction place. 4) Just login in the app and you can bid for your favorite product. A real time and money saver. 5) The app will also enable you to check the price of the product and make an informed purchase. 6) The buyer is instantly in the know of the result of the auction when the auction is online. If the bidder wins the result is immediately shown in the app. 7) Sellers can make savings as they don’t have to invest in the infrastructure of hire resources for selling their product. Im from South Africa I have a business that buy and sell mining equipment. I have a huge client base and I would like to have a auction app for my clients to buy on. Can you help me please. Just as plain as possible where the seller can place his items for sale I will also do so with my items and then for the buyers to place there bids. but the buyers need to pay a refundable dep before they can auction as well as for the sellers. why I would liek to do so then I will have serious people on the auction site. can you help?